Shane Dorian (Kona, Hawaii, USA) pulls off one of the heaviest air drops in the history of big wave surfing while warming up before the start of the Pe'ahi Challenge at Jaws, Maui, Hawaii on December 6, 2015. Big Friday Peahi Paddle Session 2016 Aaron Gold paddles into biggest wave ever paddled into @ Peahi. Shane Dorian & Ian Walsh were also stand outs. National Geographic explorer and grantee Gregg Treinish wants everyone to know about the hidden toxic cost of synthetic fabrics. Tiny, invisible microplastics are entering our waterways straight from our washing machines. About 2,000 synthetic particles are released from washing a single polyester fleece jacket. All clothing items—including cotton and wool—shed micro-fibers when washed, but the natural fibers biodegrade. Synthetic particles don't degrade and can absorb toxins while traveling through the waterways. If they're eaten by small organisms, such as fish, they can bioaccumulate and end up on our dinner plates. There is a lot of plastic in the world’s oceans. It coagulates into great floating “garbage patches” that cover large swaths of the Pacific. It washes up on urban beaches and remote islands, tossed about in the waves and transported across incredible distances before arriving, unwanted, back on land. It has wound up in the stomachs of more than half the world’s sea turtles and nearly all of its marine birds, studies say. And if it was bagged up and arranged across all of the world’s shorelines, we could build a veritable plastic barricade between ourselves and the sea. But that quantity pales in comparison with the amount that the World Economic Forum expects will be floating into the oceans by the middle of the century. If we keep producing (and failing to properly dispose of) plastics at predicted rates, plastics in the ocean will outweigh fish pound for pound in 2050, the nonprofit foundation said in a report Tuesday. According to the report, worldwide use of plastic has increased 20-fold in the past 50 years, and it is expected to double again in the next 20 years. By 2050, we’ll be making more than three times as much plastic stuff as we did in 2014. Contrast between the world’s marine fisheries catches, assembled by FAO from voluntary submissions of its member countries (‘reported’) and that of the catch ‘reconstructed’ to include all fisheries known to exist. 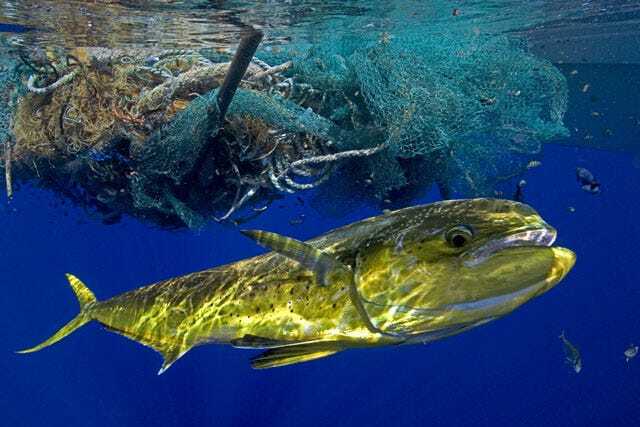 Meanwhile, humans do a terrible job of making sure those products are reused or otherwise disposed of: About a third of all plastics produced escape collection systems, only to wind up floating in the sea or the stomach of some unsuspecting bird. The report came a day before the start of the glitzy annual meeting arranged by the World Economic Forum to discuss the global economy. This year’s meeting in Davos, Switzerland, is centered on what the WEF terms “the fourth industrial revolution” — the boom in high-tech areas like robotics and biotechnology — and its effect on the widening gulf between the wealthy and the world’s poor. According to the report, more than 70 percent of the plastic we produce is either put in a landfill or lost to the world’s waterways and other infrastructure. Plastic production accounts for 6 percent of global oil consumption (a number that will hit 20 percent in 2050) and 1 percent of the global carbon budget (the maximum amount of emissions the world can produce to prevent global temperatures from rising more than 2 degrees Celsius). In 2050, the report says, we’ll be spending 15 percent of our carbon budget on soda bottles, plastic grocery bags and the like. Once it gets washed into waterways, the damage caused by plastics’ presence costs about $13 billion annually in losses for the tourism, shipping and fishing industries. It disrupts marine ecosystems and threatens food security for people who depend on subsistence fishing. Besides which, all that plastic in the water isn’t too great for the animals trying to live there. The report was published on the same day that a study came out in the journal Nature Communications asserting that the U.N.’s Food and Agriculture Organization is drastically underestimating the overfishing of the oceans. The study, from researchers Daniel Pauly and Dirk Zeller of the University of British Columbia’s Sea Around Us project, found that global catches between 1950 and 2010 were probably 50 percent higher than previously thought — meaning that damage to the world’s fish stocks was also much worse. Overall, it was not a good news day for anyone with fins. A scavenger collects plastic for recycling in a river covered with rubbish in Jakarta, Indonesia, April 20, 2009. In a recent report, Ocean Conservancy claims that China, Indonesia, the Philippines, Thailand and Vietnam are spewing out as much as 60 percent of the plastic waste that enters the world’s seas. But both reports gave some signs for optimism. Pauly and Zeller told The Washington Post that the underestimation of how much humans were fishing means the U.N. also underestimated how much fish the oceans can provide. 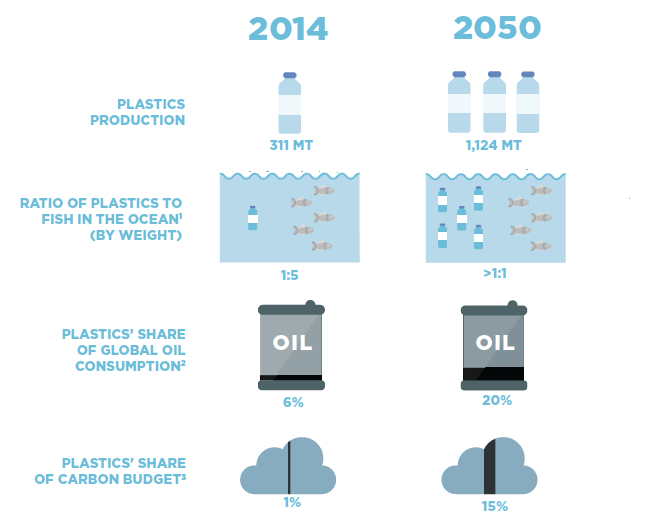 And the World Economic Forum report, though not quite so sunny, suggests that there are ways to offset all this plastic we’re making and discarding. Countries can implement incentives to collect waste and recycle it, use more efficient or reusable packaging and improve infrastructure so that less trash slips through the system and into the seas. 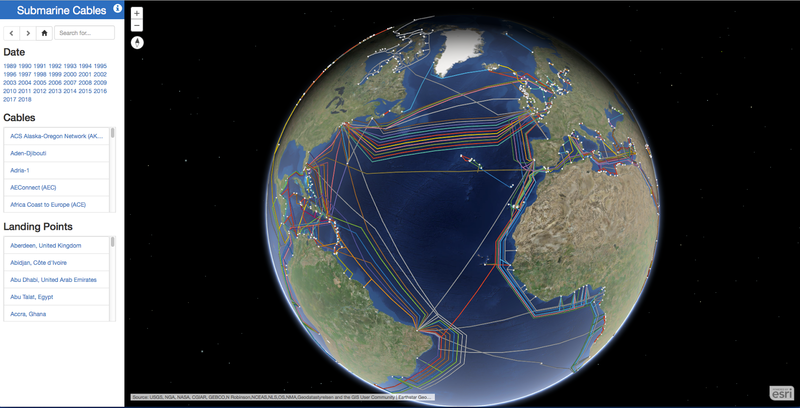 Every year Telegeography creates an updated undersea cable map of the world. The 2015 Submarine Cable map was inspired by medieval and renaissance cartography and features not only a vintage map style but sea monsters, map border illustrations and images showing some of the common causes of cable faults. The map shows 299 submarine cable systems across the globe, that are active or are under construction. The border illustrations provide information on the capacity data of some of the major cable routes. Other inset illustrations provide information on how submarine cables are laid. A number of images on the map explain some of the common causes of cable faults. Some fictional causes of cable faults are also included in the map in the form of mythical sea monsters. The text provided with each monster includes a reference to which historical map it first appeared on. 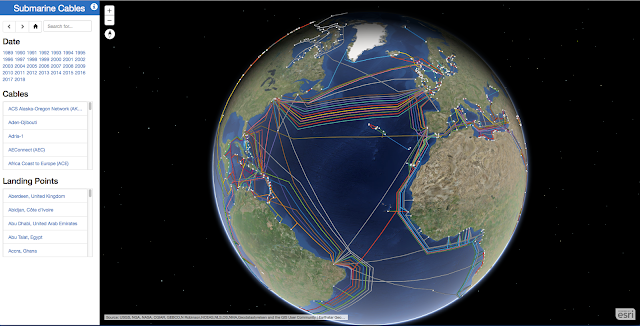 Esri has used Telegeography's cable data to create their own 3d map of Submarine Cables. This 3d globe of submarine cables allows you to search the world's undersea cables by location and by date of construction. Messages in the Deep is another fascinating undersea cable map which allows you to explore the history of the growth of the undersea fibre optic network around the world since 1989. The map allows you to view the undersea cable network for any year, or you can animate the map to view how this global network has grown since 1989. The map also allows you to refine the cables shown by cable owner. You can click on any of the cables displayed on the map to view it's length, it's first year of operation and the cable's owners. HF-AIS™ is an advanced DSP core technology which enables an AIS transceiver to reliably and accurately receive and decode every AIS transmission in real time, even in very busy areas where there are hundreds, perhaps thousands of transmissions every minute. This means that you do not miss targets and see everything that there is to see. High Fidelity AIS (HF-AIS™) technology is another innovation from the global leaders in Automatic Identification System ‘AIS’ technology research and development - SRT Marine Technology. HF-AIS™ is advanced core technology which ensures that, even in increasingly busy areas, all AIS transmissions are received and decoded and thus displayed. Not all AIS transceivers are the same, and HF-AIS™ defines a meaningful performance difference. AIS transceivers constantly receive and then process hundreds, perhaps thousands of transmissions from other transceivers in real time. Successful processing of AIS transmissions and therefore display of targets and data is often taken for granted by the end user. But, if a transmission is not successfully received and processed, that data is not displayed. The user may think they are seeing everything but that may not be the case. The ultimate determining factor of how well any AIS transceiver works in the field is determined by the core technology – its ability to receive, transmit and process thousands of messages in real time simultaneously. HF-AIS is a turbo-decoder technology more commonly found in high-end communication devices such as 4G mobile phones where very high data rates are required. It ensures reliable decoding and processing of all AIS messages in real time – which in turn ensures that the end user sees everything. As more commercial and leisure vessels use AIS transceivers, the number of transmissions that your AIS transceiver must cope with is increasing exponentially. Your transceiver must receive and decode (extract the information in the AIS transmission) each and every transmission in real time with absolute accuracy for you to see the target on your display. This receive and decoding performance goes unseen, but sits at the heart of every AIS transceiver and defines the difference in performance between different AIS products. 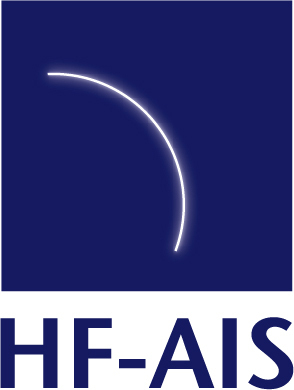 Since AIS is an international maritime technology standard it is often assumed that the core performance [the receiving and transmitting of messages] of every AIS transceiver, and associated accessory, is the same and that the only variation between products are physical attributes such as size or user related functionali- ty such as connectivity options. The baseline functionality and radio operating protocol of all AIS devices are defined in the formal AIS product specification documents issued and maintained by the IEC and ITU committees under the auspices of the IMO. However these do not define the actual operational real world performance of the core radio transceivers which do all AIS message communication work within every AIS device—and if the radio transceiver performance is compromised, so are the targets and data displayed. This means targets may be present, but your AIS transceiver is not decoding them. HF-AISTM ensures that every AIS message is received, decod- ed and displayed in real time. using a sophisticated TDMA based radio communications protocol. Every AIS transmission is a standard structure as defined in the IEC & ITU, but the content (payload) of each message is different. The content of every message is made up of static data such as MMSI, name, dimensions and dynamic (constantly changing) data such as position, speed, course, status etc. AIS transceivers are continuously transmitting and receiving AIS messages between each other and the information seen on any display medium such as a chart plotter, ECDIS and or PC is ultimately determined by the ability of the radio transceiver to receive and decode each message and provide the static and dynamic data contained within each message. In very quiet areas, where there are perhaps only a few AIS transmissions the core radio transceiver technology may only have to decode 15 to 20 messages per minute. However as the use of AIS has massively in- creased across leisure and commercial boats and now includes new active transmitting AIS devices such as AtoN, MOB, SART, Coast Stations and additional functionality and content such as weather, text messaging and satellite AIS an AIS transceiver must receive and decode a relentless stream of transmissions in real time—perhaps over 2,000 transmissions per minute: every minute. Every transmission needs to be ’cleanly’ received and then accurately decoded and the information outputted in the correct data format to the selected display platform. The process of decoding is complex and one which is relatively easy to achieve when the transmit loading is low, but becomes exponentially challenging as the transmit loading increases. The result is that errors are made at the receive point and the decode point—which means transmissions are lost and therefore the content contained within not seen. Radio communication loading issues are not new and are encountered in all radio communication systems. It is therefore a major challenge and area of specific expertise for the developers of all core communications technology—GSM, GPRS, 3G, 4G, WiFi etc. The normal way for technology to manage this is through a combination of high performance technology (software & hardware) and to regulate the data rates between two entities so as not to overload the devices and or to request lost data is resent. This regulating is unseen by the user, who may experience the device ’freezing’ or slowing, or in some cases, the data not coming through. However AIS is a real time communication system and so it is not possible to regulate transmission rates. Every transmission is unique and if not received and decoded the first time is lost. Therefore when an AIS transceiver has sub optimal core technology as loading increases, transmissions will be simply be lost and targets and other information not seen—without the user being aware. HF-AISTM uses advanced radio communications decoding technology known as ‘Turbo Decoding’ which, through a combination of advanced DSP (Digital Signal Processing) software and high quality hardware, en- sures that every message received is decoded. The concept and technology fundamentals of Turbo Decoding originates in the cell-phone technology space where huge leaps in data rates were required, whilst at the same time devices were expected to be smaller and more power efficient. The practical development and implementation of turbo decoding technology is highly specialist and exceptionally challenging. DSP software capable of handling large amounts of data in real time without error needs to be developed which can operate to the required performance levels on hardware processors which meet the size and power consumption parameters for the overall product—one works against the other. Equally it is important that performance is achieved without overstressing hardware as this creates long term reliability and performance issues. AIS is a sophisticated VHF radio based maritime tracking and data communications system. Multiple independent entities such as vessels, buoys and coast stations automatically transmit and receive messages to and from each other. HF-AIS turbo decoding technology is an ultra efficient DSP technology operating on a single high performance processor. This streamline architecture means that the real time processing of all AIS messages at even the highest loading level is achieved whilst at the same time the size of the core transceiver module is minimized along with power consumption and heat generation. For the user of an AIS transceiver with HF-AIS technology it means peace of mind that all targets and information will be received and decoded and available to display. The NOAA Ocean Heat Content Intensity Forecasting. While we can’t say that climate change causes El Nino, the evidence is mounting that the warming of our planet could be intensifying the natural phenomenon, which in turn can lead to some extreme weather events. 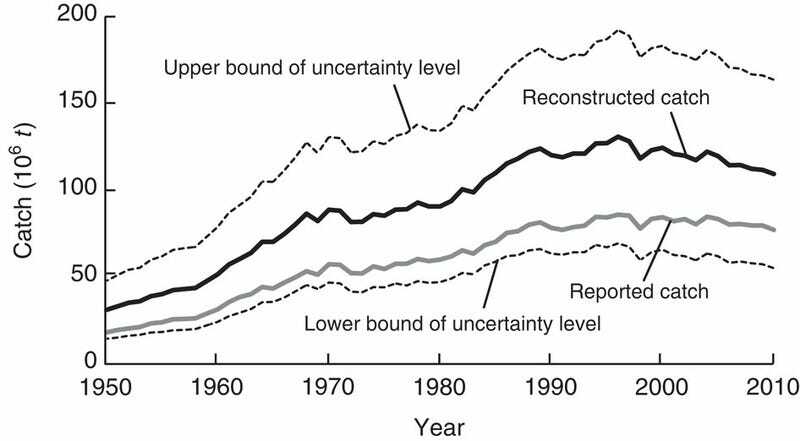 New research published today in the journal Nature Climate Change found that half of the warming of our oceans seen since 1865 has happened in the past twenty years. “Since the 1990s, the total amount of heat content change in the oceans is twice that of what we’d seen up until that point in the past 150 years,” said Chris Forest, a Penn State meteorology professor and coauthor of the paper. While El Nino and La Nina are cyclical phenomena, they are powered by warm water in the Pacific and this current El Nino is accompanied by record-setting ocean temperatures. The combination has already led to a series of intense storms and flooding in line with the effects of previous strong El Nino years. While the new research does not attempt to link the data on warming oceans to the current El Nino, some see a correlation in that the two strongest El Nino events we’ve seen have occurred in that same twenty year window. Pacific and Atlantic meridional sections showing upper-ocean warming for the most recent complete decade. Red colors indicate a warming (positive) anomaly and blue colors indicate a cooling (negative) anomaly. “Yes, the randomness of weather is playing a role here. But these (El Nino) events have been supercharged by the extra energy in an atmosphere made warmer and moister by human-caused climate change,” Michael Mann, the director of the Earth System Science Center at Pennsylvania State University said in December. According to the new research, ocean warmth is somewhat akin to the canary in the coal mine when it comes to the effects of climate change on the planet. That’s because our oceans’ heat capacity accounts for 90 percent of the heat gained by the climate system over the last several decades. Quantifying how much heat is accumulating in the Earth system is critical to improving the understanding of climate change already under way and to better assess how much more to expect in decades and centuries to come. It is vital to improving projections of how much and how fast the Earth will warm and seas rise in the future. “It’s really the true signature of climate change in the Earth system records,” said Forest. That could mean that the flooding and intense weather seen around the globe in recent months are a mere prelude to El Nino years still to come. With this mission, SpaceX’s Falcon 9 rocket will deliver the Jason-3 satellite to low-Earth orbit for the U.S. National Oceanic and Atmospheric Administration (NOAA), National Aeronautics and Space Administration (NASA), French space agency Centre National d'Etudes Spatiales (CNES) and the European Organisation for the Exploitation of Meteorological Satellites (EUMETSAT). The Jason-3 launch is targeted for a 18:42 UTC launch from Space Launch Complex 4E at Vandenberg Air Force Base, California. If all goes as planned, the Jason-3 satellite will be deployed approximately an hour after launch. 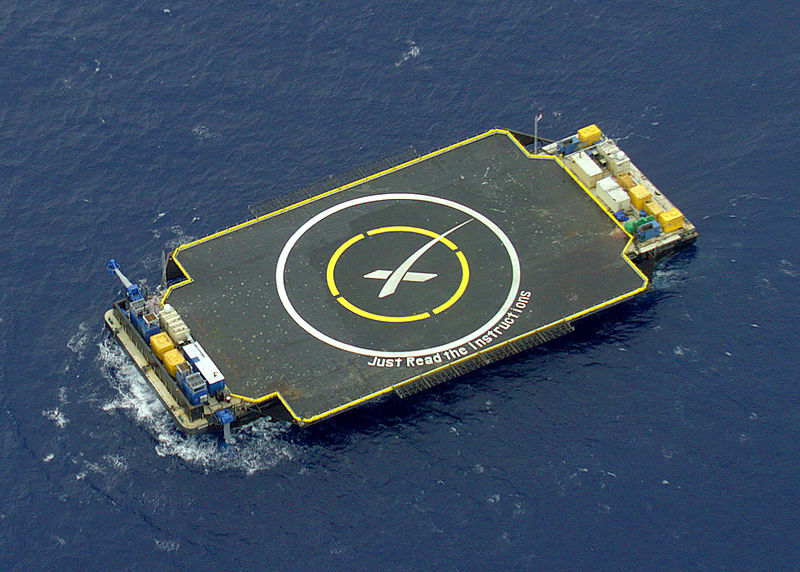 This mission also marks an experimental landing of the first stage on the SpaceX drone ship “Just Read the Instructions”. The landing of the first stage is a secondary test objective. A US-European satellite that is fundamental to our understanding of the oceans has launched from California. Jason-3 will measure the shape of the global sea surface to an accuracy of better than 4cm. It will track currents, tides, winds, wave heights, and will help forecast the intensity of storms. But the new mission will also maintain the reference data-set on sea-level rise. This shows the world's oceans to be rising at more than 3mm per year. Jason-3 was launched atop a SpaceX Falcon-9 rocket from Vandenberg Air Force base at 10:42 local time (18:42 GMT) yesterday. The flight to orbit took just under the hour. 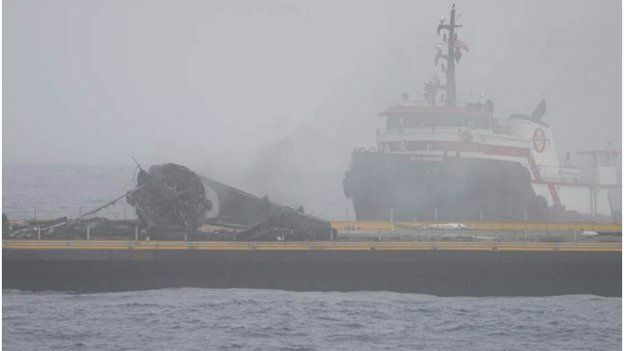 An attempt by SpaceX to recover the bottom part of the Falcon by landing it back on a sea barge came very close to success. SpaceX has tried again to land the Falcon 9’s first stage on one of the NewSpace firm’s Autonomous Spaceport Drone Ships for the launch of Jason 3.
but SpaceX said a landing leg failed to lock properly. "Definitely harder to land on a ship. Similar to an aircraft carrier vs land: much smaller target area, that's also translating & rotating." The booster found the platform but could not remain upright because a landing leg failed to lock. As a result, it toppled over and exploded. The rocket company had managed a historic first controlled return of an orbital stage last month. Did you know satellites can measure Earth’s oceans from space? 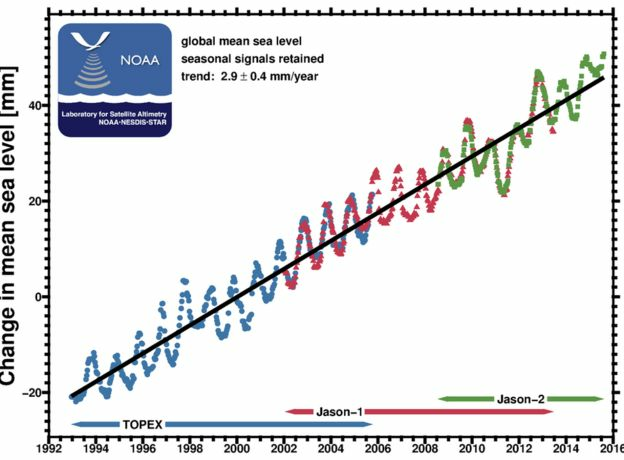 The Jason-3 satellite, set to launch in January 2016, will collect critical sea surface height data, adding to a satellite data record going back to 1992. The ocean is an important driver of weather and climate on the planet, and forecasters need this information to predict the intensity of devastating hurricanes before they reach our shores. Jason-3 will also help us track the rise in sea-level over time, allowing our coastal communities to prepare and adjust to a changing climate. Jason-3 will spend the coming weeks being moved into a position some 1,336km above the Earth where it can make tandem measurements with its still-operational predecessor, Jason-2. This will enable scientists to cross-calibrate their altimeters - the microwave radar instruments they use to map the various "hills" and "valleys" in the ocean surface below. Understanding these variations in elevation has myriad applications, both short term and long term. Just as air pressure tells meteorologists what is going on in the atmosphere, so ocean height will betray details about the behaviour of water below just the top layers. The data gives clues to temperature and salinity. When combined with gravity information, it will also indicate current direction and speed. The oceans store vast amounts of heat from the Sun, and how they move that energy around the globe and interact with the atmosphere are what drive key elements of our weather and the climate system. A classic example is the El Niño phenomenon, which is in play at the moment. This sees usually cold waters in the eastern central Pacific overtaken every few years by a surge of warm waters from the west. This disrupts weather patterns worldwide, bringing drought to some areas and intense rainfall to others. 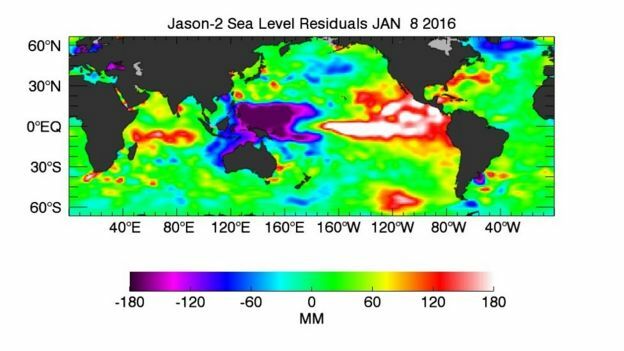 The Jason satellites act as an early warning system for El Niño by detecting the developing bulge in surface waters associated with the warming. Did you know satellites can measure the height of Earth’s oceans from space? The mission series, which started in 1992, has always been a US-European venture, but the number of organisations involved has grown over time and now includes the US and French space agencies (Nasa and Cnes) and the premier weather satellite services on both sides of the Atlantic - Noaa and Eumetsat. For future Jason missions, this co-operation will be extended further, to include the European Space Agency (Esa) and the European Commission. This wider interest underlines the importance of the satellite data, and the stronger partnership should ensure the continuation of the series. Europe will be folding Jason into its Sentinel programme of Earth observers, giving follow-on spacecraft the designation "Sentinel-6". Nine months. Four oceans, five continents. There's a reason why they call the Volvo Ocean Race the world's toughest ocean challenge - and here it is. A trophy desired by so many, but lifted by so few, every three years, the best sailors on the planet step out of the comfort zone to truly test themselves against Mother Nature.